US airline JetBlue has announced that it will launch its first transatlantic services in 2021, with flights from New York and Boston to London. The 20-year-old company says the transatlantic market suffers from poor competition and high fares, especially in the premium category. It will be JetBlue's first foray into Europe - it currently operates in the US, the Caribbean and Latin America. The airline has not yet decided which London airports it will serve. 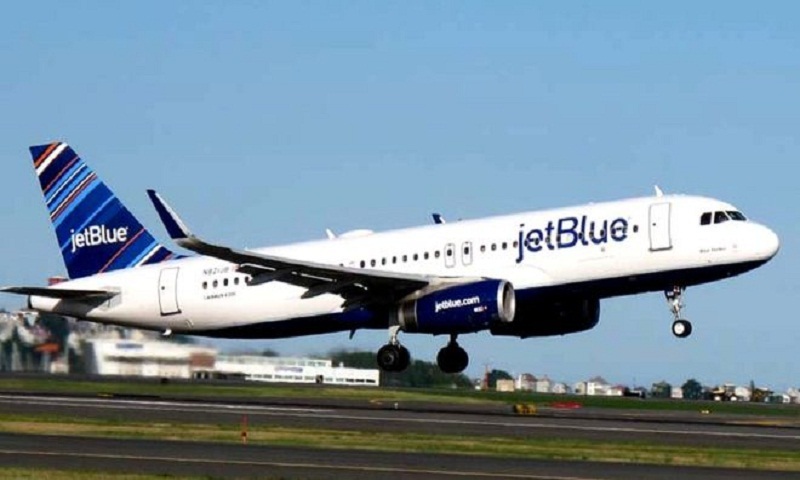 JetBlue will be using Airbus A321LR single-aisle aircraft on the routes. British Airways and American Airlines, as well as the partnership between Air France-KLM, Delta and Virgin Atlantic, have traditionally dominated transatlantic routes. Other carriers have fared less well, with one challenger, Iceland's Wow Air, going bust last month and leaving thousands of passengers stranded.